Were you injured in an accident and do not have the money or insurance to pay for your necessary medical procedures and surgeries? Healthcare bills can pile up quickly – causing a physical, mental and financial stress on your day-to-day life. That’s where pre-settlement surgical funding comes in. If you are unable to work due to your injuries caused by an accident, surgical funding can pay for your medical-related bills. Absolute Legal Funding can provide money for all aspects of your personal injury case, including plaintiff lawsuit funding to help you pay for your monthly living expenses and surgery costs. Whether you were injured in a slip and fall accident, automobile accident or another matter in which you need medical treatment, we can help. Apply: Click here or call us at (888) 696-6449 to get started on your application. Your application can be approved in as little as 24 hours. Have Your Surgery: We will pay the physician directly prior to your surgery or medical procedure. Pay Once Your Case Is Resolved: Repayment is made at the conclusion of the case from your settlement or verdict. If you don’t win your case, YOU OWE NOTHING! 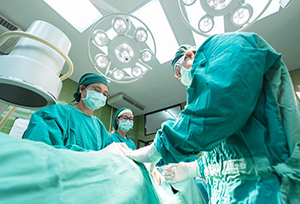 Surgical funding not only helps you get the treatment you need and the peace of mind you deserve, but it will add value to your lawsuit – in most cases, resulting in a significantly larger settlement award.